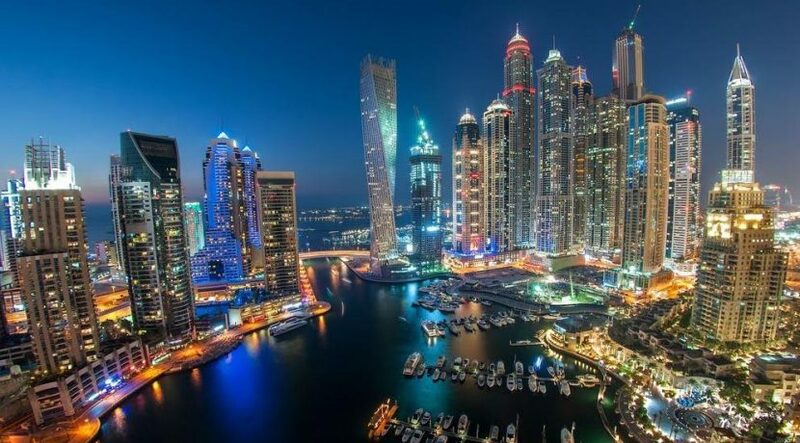 The Dubai Land Department (DLD) is taking all possible measures to ensure that the procedures for registering property leases in the emirate of Dubai are easy and of the highest standards. To achieve this, the DLD coordinates with other government departments to integrate government services as part of the Dubai Government’s transformation to smart services. The DLD announced the launch of the unified lease in March 2017 with the aim of establishing greater transparency and credibility in the real estate market. The adoption of the unified lease agreement is in line with the DLD’s to establish transparency and clarity for the benefit of all parties in the real estate market. Dubai has been able to assume its position as a world-leading real estate destination as it provides a safe haven for investment, living and business; the unified lease will contribute to consolidating the emirate’s positive image. The unified lease agreement was implemented to contribute to the completion of the legal system and the consolidation of the rights and duties of contracting parties. Through its various departments, the rental sector is responsible for the implementation of the new unified lease agreement alongside other activities. The move is aligned with the DLD’s vision of limiting personal actions that may harm the market. The relevant committees in the department monitor all variables in the real estate market, and review them to comply with the new laws and regulations. Law (2) 2003 is one of the references on which the unified lease agreement was based. The lease agreement was also based on Law (33) 2008 regulating the relationship between landlords and tenants in Dubai, specifically Article 25 that outlines scenarios in which the landlord can request the eviction of the property (including the sublease), allow others to use the property and use the property for purposes other than stated in the licence. In accordance with Law (26) for the year 2007, specifically Article (16), during the term of the lease, the landlord shall be responsible for the maintenance of the property and for the repair of any malfunction that affects the tenant’s satisfaction of the intended benefit, unless otherwise agreed. The law obliges the landlord to bear this responsibility in all cases, but does allow for the liability to be transferred to the tenant if there is a consensual agreement. This prevents the establishment of a binding clause and ensures tenants and landlords are in agreement. Landlords can download the contract and print it directly from the official ‘Ejari’ website (www.ejari.ae). Although there are many clauses in the contract, the relationship between the parties is governed by specific laws including the Tenancy Act, which defines and regulates the imposition of penal obligations to be applied in case of any issue. It is the responsibility of the parties to the contract to agree on items that meet their requirements and needs when signing the unified lease for the first time. The DLD has coordinated with many government agencies that require customers to provide lease contracts registered with the DLD in the ‘Ejari’ system in order to complete their transactions. The goal of the DLD’s collaboration with these departments is to contribute to the integration of government services. Customers are able to complete the majority of their dealings with these departments as soon as the lease is registered through the ‘Ejari’ system. A good example is the partnership between the DLD and the Dubai Electricity and Water Authority (Dewa). One of the benefits of this relationship is that it allows customers to access the authority’s services once the lease is registered, without the need to review it and resubmit the application and documents. The ‘Ejari’ smart system is one of the channels for registering leases and facilitates registration and other services. The authorised user can register their lease at any time and from any location, view data, status of lease and status of the real estate within their jurisdiction, and also follow up on rental indicators, maintenance reports and more.